We understand that a client carefully considers their organization’s growth, building needs and budget when planning for a renovation or new construction project. A building project is a long term investment. We make it our goal to develop an efficient design solution that provides the client with the best value for their construction dollar. We also save our client’s time and money by providing full architectural services. Many people don’t realize that design and drawings are only a small part of our services, we also provide budgeting information, project management, construction site inspections, and construction administration services. Our thorough approach reduces change orders, reduces costs, keeps a project on schedule and ensures better quality construction. We deal with the headache issues and questions that come up, do the research to determine the best options, present you with clear solutions and costs, and you make the decisions. We keep clients from wasting their time and energy, while also protecting their interests throughout the entire process. This business office provides customer services, accepts customer payments, an electrical line crew work room, and an emergency staging center for use during power outages and bad weather. Other features include a drive-through payment window, high security customer counter, and 100kw emergency power generator. 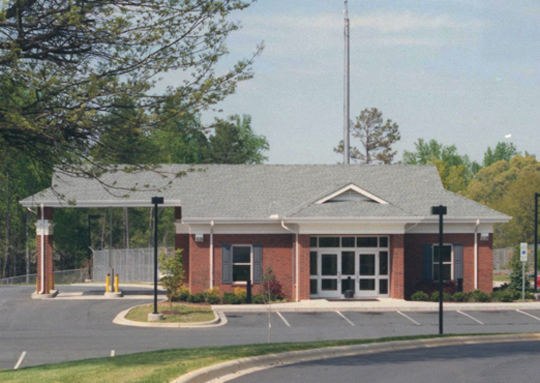 This 3,186 square foot bank building was designed in a traditional style to complement neighboring Gardner-Webb University. 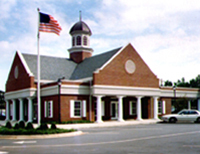 It offers elegant customer service areas and business offices as well as covered drive-thru services. 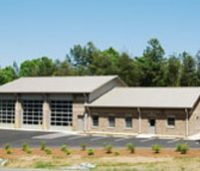 A new fire station with three truck bays, offices, workshop, kitchen, day room, and sleeping quarters. Special features include a sprinkler system and a transfer switch for connecting an emergency generator. 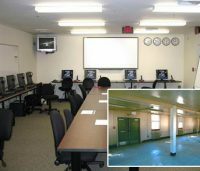 This building renovation at Camp LeJeune, NC included renovating a barracks building into a computerized virtual battlefield simulation training facility. A new elementary school on an undeveloped site. 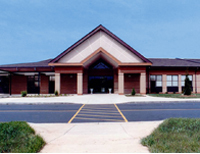 This efficient design gained the school system 2 classrooms more than the original program required and the final construction cost was $109,000 under budget. The floor plan provides easy access to the core areas from all of the classrooms and there are no dead end corridors or remote classroom wings. Special attention was also given to allowing for after-school and community use of the media center, gym and cafeteria while preventing access to the classrooms.